Looking for Easter Egg Hunts in Metro Vancouver? 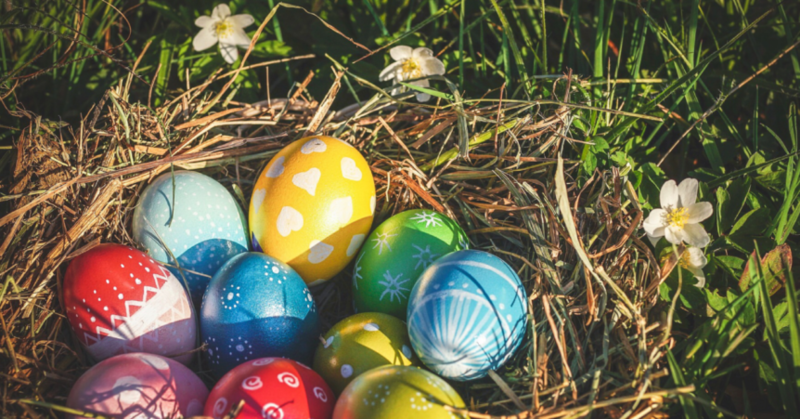 Below you’ll find lots of Easter Egg hunts & activities across Metro Vancouver listed by city so you will know what to travel for and what is close to home. We’ve got you covered for Abbotsford, Burnaby, Delta, Fraser Valley, Maple Ridge, New Westminster, North Vancouver, Pitt Meadows, Richmond, Squamish, Surrey, Tri- Cities, Vancouver and West Vancouver. We wish every bunny a hoppy Easter! Take a hay ride down the Bunny Trail and embark on an egg hunt in the apple orchard. Explore Bunny Town where you can pet and snap pictures the cuties. Decorate an Easter basket, make Easter-themed crafts and go on an adventurous egg hunt. Rain or shine. Children 1-11 welcome. $10 per child , $2 per adult. Take your picture with the Easter Bunny! Kids are free with the purchase of a season’s child pass. Start your Easter festivities on the Farm with Mama Maan’s crepes filled with their homegrown strawberries and delicious whipped cream. Candy bags for everyone as children search the farmyard for Easter eggs. Decorate an egg to hang on the Easter Tree, spend some time with the friendly farm animals and play some old fashioned Easter themed games and crafts. Enjoy a relaxed scavenger hunt where every child collects stamps and will receive a treat or join an egg scramble at 11 am, 1 pm and 3 pm. Children ages 5 and younger try to pick up as many foil eggs as they can before they’re gone. Bring your own basket and arrive at least 30 minutes in advance to allow time for parking and to pay site entry. Sunday, April 21, 3 event times, 10:00, 12:00 and 2:30. Tickets are for children only who want to participate in the activities of the festival. Activities include a petting zoo, face painting, live children’s entertainment and of course the egg hunt with an individual prize for all participants. Food truck onsite or bring your own food. Rain or shine. Bring your own baskets for the egg hunt. Easter Egg hunt throughout the afternoon with prizes for all children who participate. The Easter eggs will be refreshed throughout the event so don’t worry if you can’t make it right at noon. There will be shelter tours, face painting, games, colouring contests, and a VEGAN hotdog BBQ! Egg-Stravaganza Activity Stations, Queen’s Park Farm, & Easter bunny photos (suggested $2.00 donation) part of this FREE event! Live entertainment, face painting and engaging crafts are sure to entertain the whole family. Bring your children Ages 3-12 and join the annual Easter Egg Hunt. Easter Basket and decorating table provided. Refreshments served and live music. The hunt starts at 1:30 sharp! Participation by donation. Hop on over to JBCC for this popular Easter event! Easter egg hunt, crafts, and story-time! Meet the Easter Bunny too! For kids aged 0-6 yrs. Parent participation/supervision required. Please register all family members attending the event. North Shore Neighbourhood House, April 13, 2019, 9:30 to 11 am. Easter breakfast with pancakes, sausages, fruit, juice, coffee, and tea. Breakfast will be followed by a visit from the Easter Bunny, an Easter Eggs Hunt, and a chance for kids to get creative at our craft table! Annual Easter festivities are a great way to spend time with family. Enjoy a buffet brunch featuring delicious options for all ages plus an exciting Easter Egg Hunt led by the Easter Bunny! Easter is always a hopping good time at the Pitt Meadows annual Easter celebration! There will be pony rides, face painting, a petting zoo and of course an Easter Egg hunt! Bring your reusable coffee mug and enjoy a free cup of Starbucks coffee. Friday April 19 – Sunday, April 21, 10 am – 5 pm. This annual fun-filled family friendly weekend features crafts, story time, games, and of course, the Easter Salmon Scavenger Hunt, all inside the Gulf of Georgia Cannery National Historic Site. Suitable for kids ages 2 to 12 years old, including the Easter Salmon “Egg” Hunt – (every 30 minutes, 11:00 am – 4:30 pm). All Easter hunt participants will receive an Easter treat. Easter egg gathering on one of our Summit Trails. Visit our forest woodland characters to collect your chocolate eggs at your own pace. Arts & Crafts in the Summit Lodge – festive colouring pages, DIY crafts, Facepainting in the Summit Lodge from 10:30am-12:30pm. Take a train ride into the forest for an Easter Egg Hunt and a visit with the Easter Bunny. Each child will use their creativity to decorate their bags (art supplies will be provided). When your child collects the eggs they will trade it in for treats. Each child can get their face painted like an Easter Bunny. Bring your cameras and take your own picture with the Easter Bunny. Free, all ages event! Family fun activities include DIY rabbit ears, decorate egg shaped cookies, Scavenger hunts, & Face painting. There is no egg hunt but they invite family’s to enjoy the grounds, & use their photo opp area until 3 pm. Bring your family and participate in a variety of Easter-themed activities and games. Enjoy some light refreshments and get your family photo taken with the local Easter bunny. An Egg Hunt will take place outdoors, rain or shine, please dress for the weather! Children will be encouraged to find hidden eggs, which will then be exchanged for a small goody bag to take home. Limit of one goody bag per child. Join us in the pool for an Easter egg hunt that’ll happen underwater! This will be the first egg hunt of it’s kind at the pool. Hop over to Leigh Square for the annual Easter Arts Carnival! Featuring an Easter egg hunt, art activities, face painting, entertainment and a visit from the Easter Bunny! This event SELLS OUT, avoid disappointment and register now! All children must be accompanied by a parent or guardian. Egg hunt, basket making, bunny ears, dancing dogs, magician & more! $10 for kids, no charge for adults. Cash only. Join MLA Selina Robinson and her special guest, the Easter Bunny for a fun-filled day. Kids are invited to participate in the Easter egg hunt and a variety of other games and activities. Easter Egg Hunt Times: 11:30 am – ages 5 years and under, 12:00 pm ages 6 years and over. Hop on the Stanley Park Train for an egg-citing Easter ride through the forest and look for cotton-tailed inhabitants! After the train ride, kids can enjoy fun activities including a scavenger hunt, meeting the Easter Bunny, Easter crafts, Bouncers and carnival games, Bunny Burrow Maze & Toddler Zone. Enjoy an unforgettable Easter experience with your kids 0 to 5 years at the VanDusen Eggciting Easter Hop! Kids can collect eggs near the maze area and receive a chocolate prize, hop along to fun music on the great lawn, take a photo with the Easter bunny and enjoy other eggciting activities at the garden. Please bring your own basket. Prizes awarded for best costume during each session. Choose from four sessions daily at 10 am, 11 am, 12 pm and 1 pm. Join the Easter Bunny for an Easter egg hunt, arts & craft and play time. The excitement will also include a bouncy castle, face painting, balloon making and photo booth! Parent participation is required. Pre-registration is recommended. Eggciting things will be happening here for Easter at Kits CC! The gym will be full of fun activities for all ages: crafts, games, face painting, cookie decorating and much, much more! No Easter special event would be complete without our special guest stopping by! Parent participation required, but tickets only need to be purchased for the children. Infants under 12 months are free too! Be sure to sign up for your egg hunt time. 11:30am, 12:00pm, 12:30pm. No transfer of egg hunt times. An afternoon of Easter fun! Play games, jump in the bouncy castle, create Easter themed crafts and have lots of fun! Children (2-10 yrs) must purchase tickets and must be accompanied by an adult. Please register in advance. $6/child. Rain or Shine. Come before and stay after your egg hunt time. There will be face painting, crafts, games and our famous Egg Hunt. Come and enjoy the entire event. Children less than 8yrs must be accompanied by an adult. A limited number of tickets available. $5/participating child. Accompanying adults may attend this event for free. The event includes face painting, arts and crafts, games, cookie decorating, and a visit from the Easter Bunny! Caregiver supervision is required for all children. Call to register. Drop-ins are welcome if space permits. Children under 1 are free and do not need to register. This free family friendly event will include activities at 2 locations. Neighbourhood Centre will have 8 golden chocolate egg hunts (register to secure your spot), face painting stations, golden egg decoration with colourful jewels at our craft station, a golden balloon for every child. Town Centre will have A huge bouncy castle, face painting station, a balloon twister, Easter loot bags and activity books, Free popsicles and a caricature artist, Complimentary hot chocolate and green tea, and crafts. Hop on down to our annual spring event! They will have the bouncy castle, arts & crafts, balloon art, cookie decorating, and an egg hunt! An announcement will be made to remind families to head to the field for the egg hunt at your scheduled time. Kids under 1 years of age are free. Join the fun in the pool from for the Britannia Pool Annual Easter Egg Hunt! Both our Leisure Pool and Main Pool will have floating and submerged eggs for children to collect and claim a prize. Join this free community event! There will be a bouncy castle, games, crafts and treats. Easter fun on Easter Saturday! There will be games and crafts, and of course an Easter Egg Hunt! If you are lucky you might even see the Easter bunny! Every child will take home a goodie bag after the egg hunt. Bring the whole family and have fun making Easter arts & crafts. There will also be a visit from Mike’s Critters and there will be an Easter egg hunt. Children under the age of two are free. Please pre-register as space is limited.